On 27th June, Prof. Monika Salzbrunn will present the ARTIVISM project during an information event about the European Research Council. This presentation will take place at Amphimax (414) from 4pm until 6:30pm . You will hear about different types of projects (Starting, Consolidator, Advanced, Synergy et Proof of Concept Grants) and the conditions of participation of the next call for propositions. The event will be in English. Participation is free, but registration is mandatory. Monika Salzbrunn was invited last month on France Culture to talk about Carnivals and their political messages. 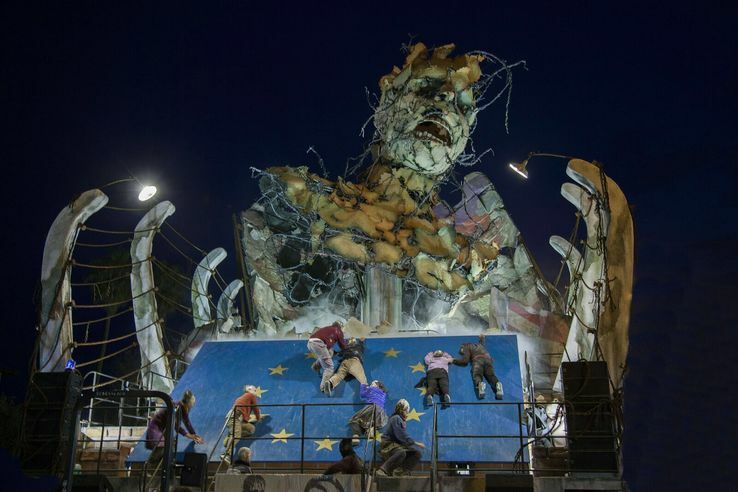 Le char “Frontiere” par l’artiste Alessandro Avanzini pendant le carnaval de Viareggio.